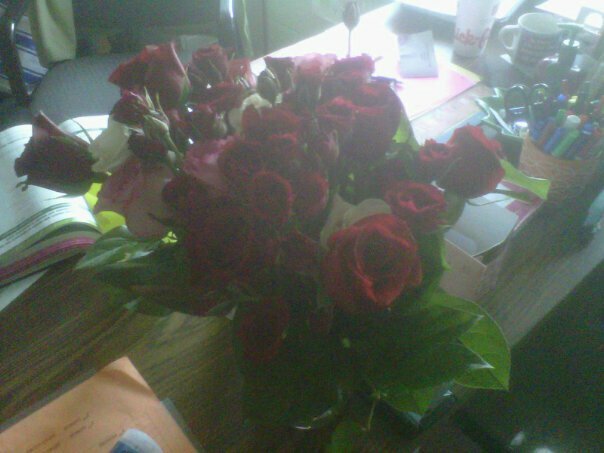 Always Think Bigger: Valentine's Day 2011!!!!!! My Valentine's Day started out very nice. Even though my students were VERY distracted today, I felt good. 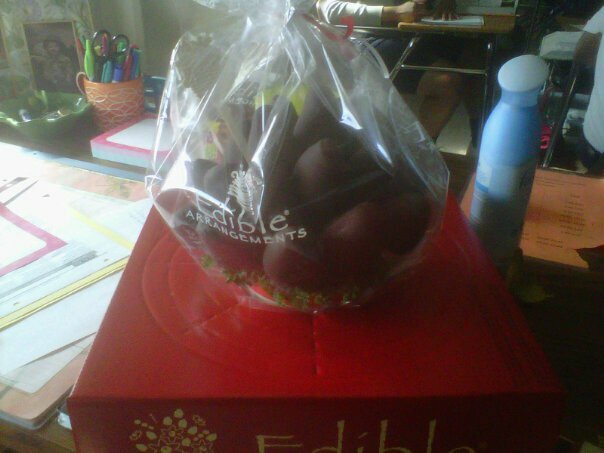 During 5th period, I got an edible arrangements of ALL dark chocolate covered strawberries. And it was only with the possibility of meeting my husband (Who was bringing me lunch) that I was able to get my students back on track for today. He arrived shortly before the class period ended and ﻿had lunch with me. Which was a wonderful treat to get to see him during the school day! Then, during 7th period this arrived! Which was such a wonderful surprise!!! The card said, "I wouldn't forget the roses" How sweet!!! It was so wonderful to get to spend time with Geoff and get to have lots of wonderful surprises from him today! We've worked so hard to reach this place in our marriage it was such a wonderful day to get to really enjoy how far we have come together! And as for the Photo Challenge Day 3...well the above 2 photos definitely make me happy!! !